Despite having a few years, the chester sofa has not lost a bit of style. In fact, it seems that, like good wine, it improves over the years. And is that this English icon is more fashionable than ever and is a magnificent investment to decorate a sofa in different styles. 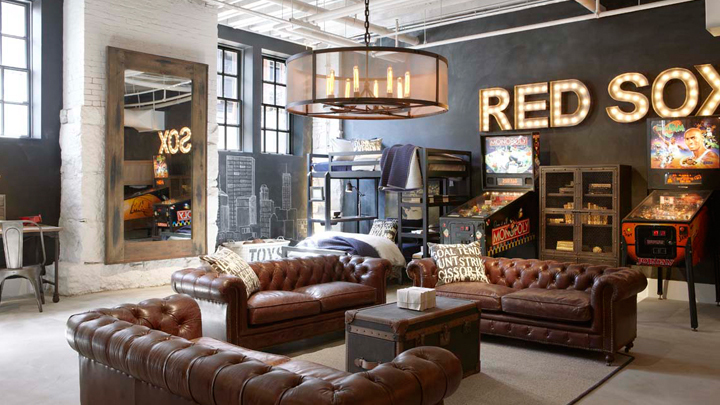 From a classic environment to a more contemporary space or even a sober industrial setting. You sign up? In this article, we present the keys to decorate with this decoration icon. A chester and different salon styles. But before getting into stuff, here’s a bit of history. The origins of this sofa date from the mid- eighteenth century. It was about 1773, when a Viscount of Chesterfield commissioned a prestigious cabinetmaker a special couch that would allow the gentlemen of the high society to sit on it with their back straight and thus not spoil their distinguished attire. The result was a genuine leather design, with armrests and backrest at the same height and capiton upholstery. 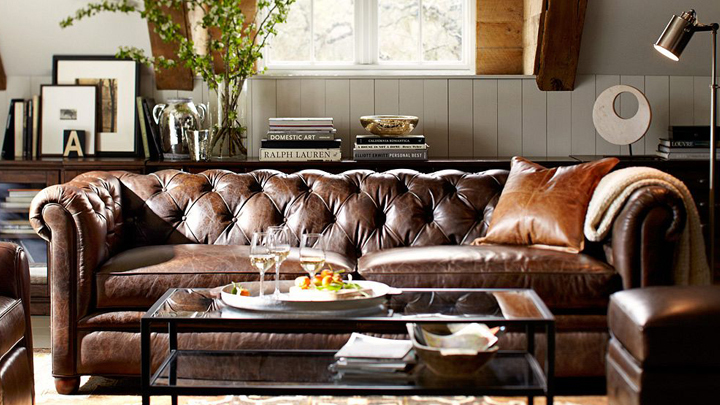 Much more than a sofa, a piece of design that went down in history as the Chesterfield sofa. Beauty, English sobriety and distinction make this sofa a highly valued piece of furniture. The most curious thing about this sofa is the great versatility that it offers us. The same we found in a classic environment than in a more modern room. Even in an industrial decoration. In fact, the sofa chester is a very frequent piece in the factory environments. The elegance of its design makes industrial rooms look much more sophisticated and welcoming . As it is a sofa with a lot of presence, it is recommended that the rest of the pieces have a light and slightly overloaded design. In these environments dark colors and metal surfaces predominate. Therefore, our advice is to choose a brown sofa and opt for a decoration in earth tones that will help us gain warmth and harmony throughout the whole. It replaces the traditional center table with a piece in harmony with the factory environment, like a vintage style chest. In this way, we perfectly integrate the chester sofa with our unique coffee table. Another type of living room in which the chester sofa fits is in the romantic atmospheres and classic spirit. In this type of decoration, light and bright colors predominate, such as white. Therefore, a sofa chester is a great choice to create textures and contrasts of color. 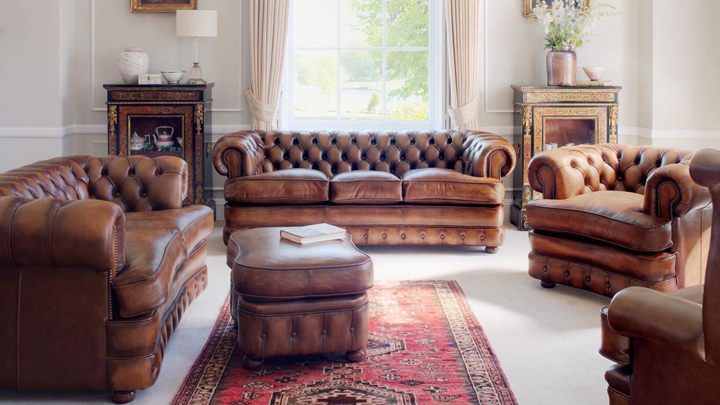 Choose a traditional chester sofa, i.e. leather and a warm dark brown. In this way, the sofa will become the centerpiece of the decoration and all eyes will focus on it. And if we accompany the clear textile sofa, such as white or cream, the result will be even more chic. The chester sofa can also be a great ally of the most sophisticated and glam decorations. If you are looking for a somewhat eclectic and avant-garde look, you can opt for a more “updated” chester.